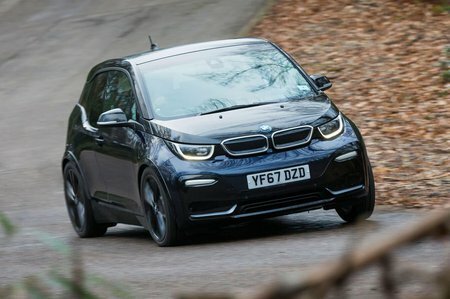 BMW i3 Boot Space, Size, Seats | What Car? The i3 is pretty spacious in the front, thanks to the lack of a proper centre console (the bit that divides driver and passenger) and a gear selector located on the steering column instead of between the seats. The dashboard floats on top of a deeply scalloped base, so there's plenty of leg room – although a Volkswagen e-Golf offers fractionally more space. There's no issue with front head room, either, due to the tall roofline. The glovebox is on top of the dashboard and is deep enough for a couple of drinks bottles; you could fit a couple more in the door pockets. There's also an elasticated net under the centre of the fascia that makes a handy place to stow charging cards. The storage area in the armrest has enough room for a mobile phone or two, and there are a couple of cupholders between the front seats – although the second one is positioned quite far back (almost behind the seats) so it's awkward to use. 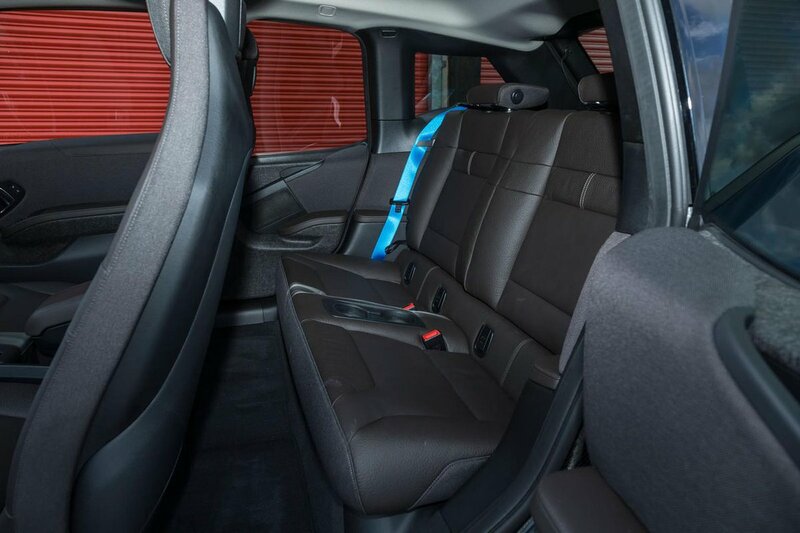 The i3 has unusual rear-hinged rear doors to aid access to the two rear seats but, even though they open to reveal a decent aperture, adults won't want to spend any great length of time there. Knee and head room are the main issues, although the thick pillars mean the back seats also feel a bit claustrophobic. The front seatbacks are hard, too, so aren’t comfortable for particularly long-legged passengers to rest their knees against. BMW would never admit to this, but it does feel like the back of the i3 has been designed for children rather than adults. There are Isofix child seat mounting points but, despite the rear-hinged doors, you'll find yourself bumping the front seat forward to free up space to fit most child seats. There isn't much storage in the rear, either. The i3 is designed for conventional around-town use; this shows when it comes to seating arrangements. The rear seats fold down in a 50/50 split (using handles near the headrests that are easy to reach from outside the boot), but that's about the limit of its flexibility. The front passenger seatback doesn't fold down flat to free up any additional load space for longer items. 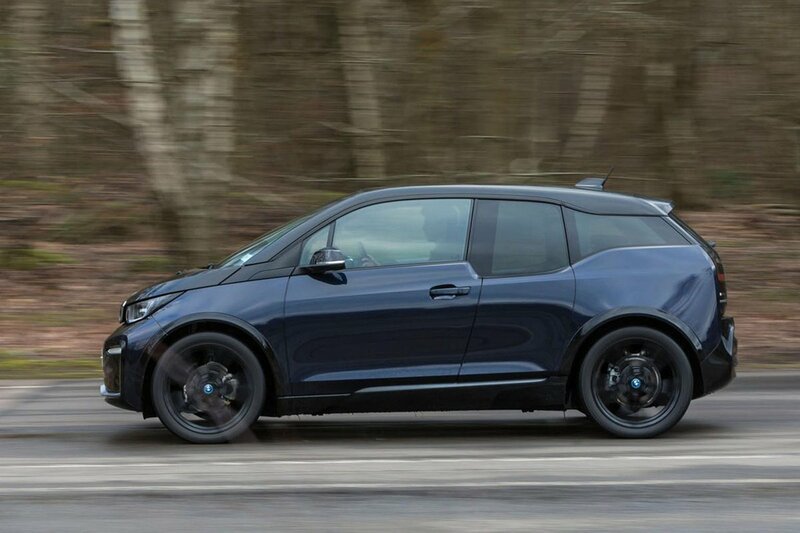 Don't buy an i3 expecting to get the same sort of space you'd find in a BMW executive saloon – the load space is more in line with what you'll find in a conventional small car. Indeed, the boot is actually smaller than a Ford Fiesta's. It's just about big enough for a modest load of weekly groceries, but it'll struggle to cope with, say, a buggy. The car's narrowness means that bulky items, such as a stroller or golf clubs, will be fiddly to fit across the boot area. The floor itself is pretty flat, though, and while it's quite high, that at least means there's no awkward boot lip to lift items over.